The Visitor Center at Apple's new Apple Park campus will open to the public on Friday, November 17, according to an internal email that Apple sent out to employees today. 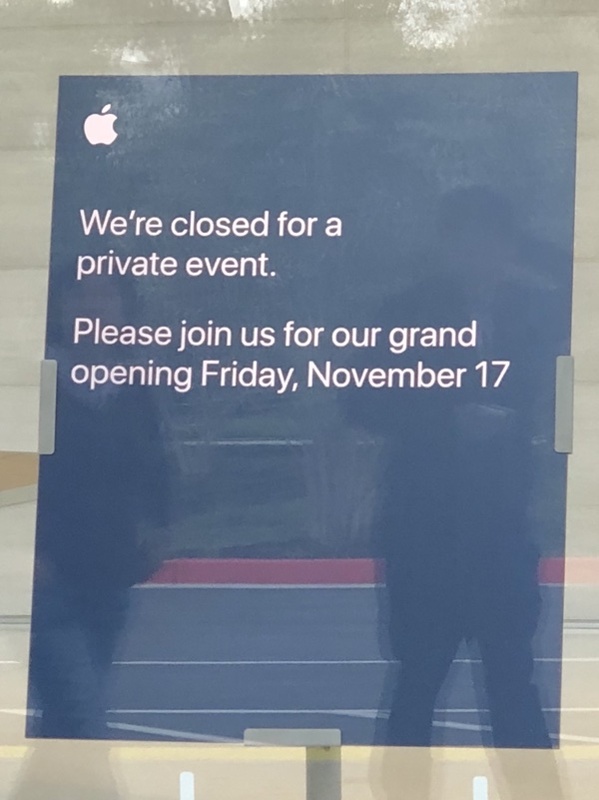 The date is also listed on a sign at Apple Park that was shared today on Twitter, but the sign does not offer up a specific time for the event. Prior to the November 17 grand opening, Apple is inviting Cupertino residents who live near the Apple Park campus to preview the Visitor Center on Thursday, November 16. Residents can visit Apple Park from 3:00 p.m. to 8:00 p.m., with a photo ID confirming a nearby address required for entry. The Apple Park Visitor Center features a rooftop observation deck that overlooks the main ring-shaped building on the campus, along with a cafe, an outdoor seating area, and indoor wooden tables. The Apple Park Visitor Center features... indoor wooden tables. I'm on the next flight to Cupertino. I want to see what I paid for! What factory? And you do realize that high tech companies often hire top chefs and assistance and have some rather large and varied menus (often for free too, for their employees that is). That was my photo! Was there today and there was a private event on for the marketing department. All retail staff were there, all caffe macs staff were there and security. The store had iPhones and iPads on the tables like all other apple stores. I asked if I could buy a Tshirt but they wouldn’t allow me. I'm hoping to visit next year spring. Whats the possibility of getting near the main campus itself? Could you get an employee to badge you in? I want to visit the old Infinite Loop campus while I'm there too.